Pondering how lovely this August is here in my little valley in Kentucky…feels like a September morn (Neal Diamond can sing this to me any time, my birthday month! )…I have just completed a conference call and follow my intuition to stretch and visit the outdoors….walking barefoot on the grass still damp and glistening with dew…feeling the hush of the breeze all around me. It’s a slow walk with small steps, a breath here and there with the sunlight pouring down through all the shade dappled in my yard with my circle of very tall trees so full this time of year. I gently step and ponder how Mother Nature is beginning her transition with late summer….I find myself near the front at a little bistro table, perfect time to sit and sit more…noticing where my little granddaughter has re-situated some gardens items for ‘her’ fairy garden, so sweet! Her little countenance resembles the fairy pictures in books and glows when she is in her ‘fairy’ moment out of time. I then notice my front courtyard back in the corner where I had moved the statue of Mother Mary as the Black Madonna—had been a sad empty corner that needed a little compassion and comfort. 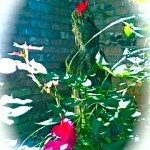 I suddenly notice she is wearing a rose…how perfect, how lovely, how synchronistic, how spontaneous—no coincidences! It took me a while to remember and relearn how to do this. Now I can’t live without doing this. What about you, Wise Woman? How is your August coming along? 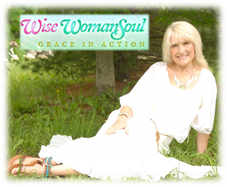 I am genuinely delighted to read this web site posts which An August retreat moment of surprise & spontaneity… | Wise Woman Essence contains lots of valuable data, thanks for providing these information….